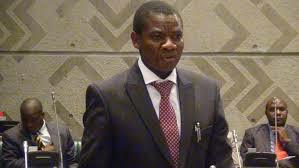 General Education minister David Mabumba says examination papers and certificates for grades 7, 9 and 12 will now be printed locally. Mabumba told parliament in a ministerial statement that his ministry had also come up with various interventions aimed at addressing examination leakages as this compromised the quality of education in Zambia. And the ministry has directed all public boarding schools in Zambia not to charge more than K1, 000 per term. Mabumba announced that schools in rural areas would be charging K150 while pupils in urban areas would pay K200 per term. Mabumba said all the changes meant to increase access to quality education were effective in second term this year.